Hello there! How is everyone doing?! I can't believe September is almost over, like how is that possible?! I really don't think it is but the calendar is convinced, lol! Today on my Youtube channel I am talking apart in a Polish Fall Favorites which I am excited about. It was so hard to pick a reasonable amount of polishes. 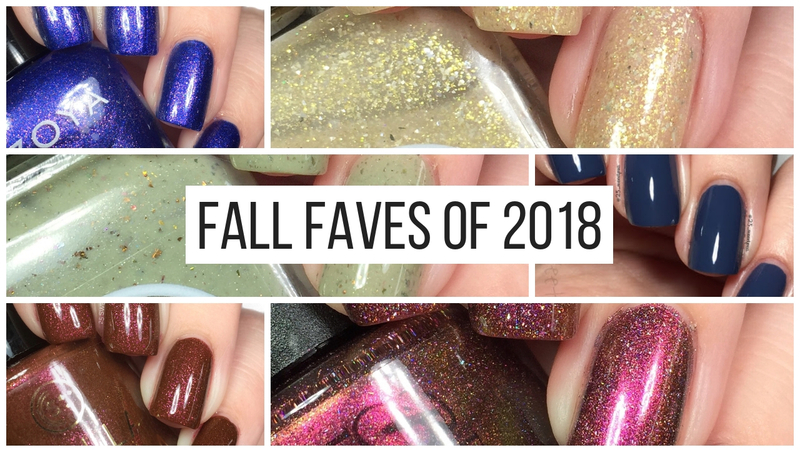 So I tried to pick my most unique faves! 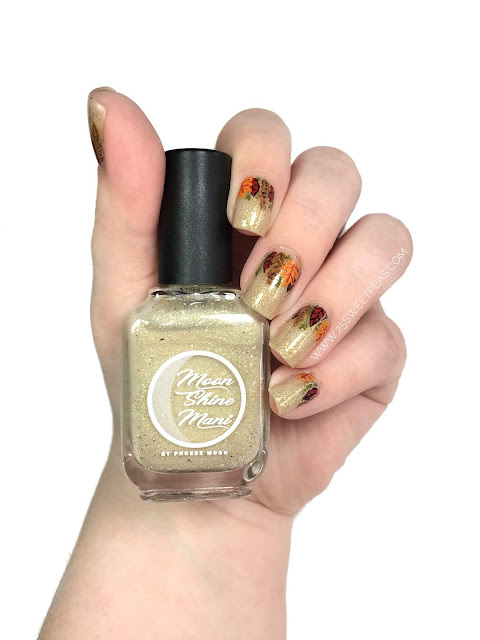 One of the polishes that made it into the Video was Edward by Moon Shine Mani, which is in the Bite Me Collection which I posted here. Which is still available by the way! :) When I swatched it way back when I also did some nail art and got crazy busy and forgot to post it. Insane right?! Who does art and forgets? Well that answer is me apparently. However in my defense I have been a bit busy and planning like a bazillion things at once. :) All exciting though! 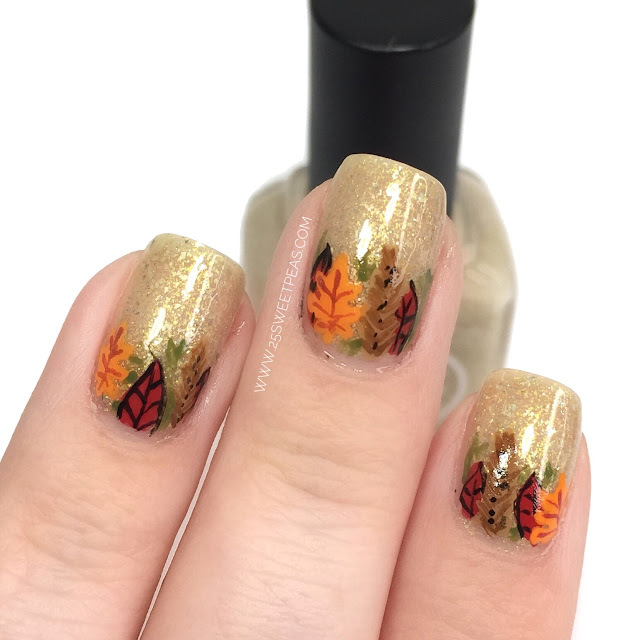 For this look I freehanded all of the art with acrylic paint and it was just super easy, and made for a fun mani I think! What do you think?! 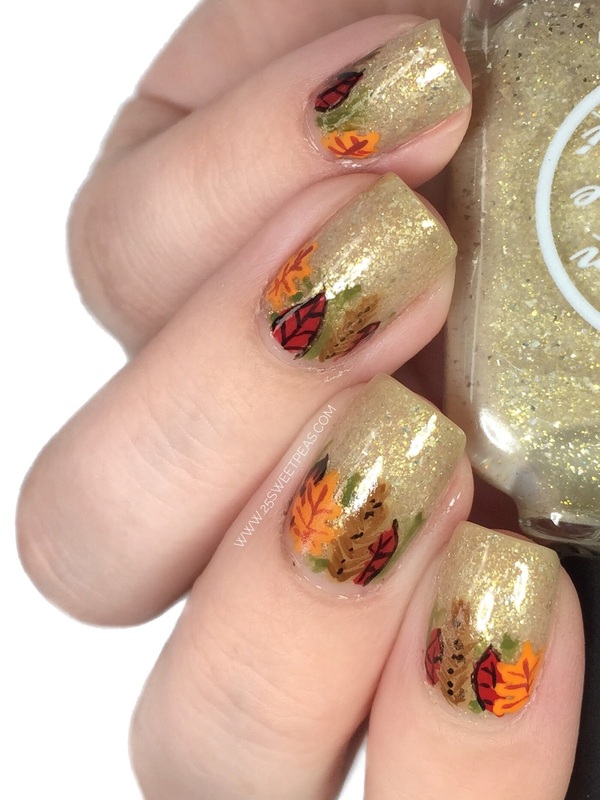 That nail art is so cute! It pairs so well with that polish! 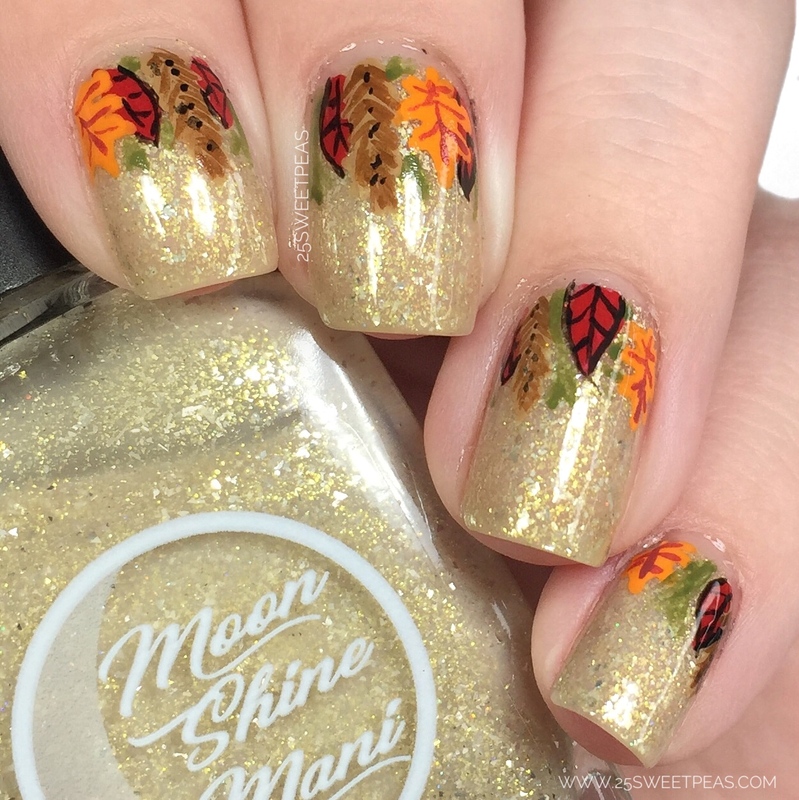 Those leaves are just stunning!